A few years ago, building cross-platform mobile apps was difficult, to say the least. Developers had to write code and systems from scratch to develop apps for each different platform. Thankfully, development tools have come a long way since then! Now you can use cross-platform app development tools to not only design, build, and distribute, but also to test your apps on the cloud and get valuable insights in real-time. For independent developers and entrepreneurs, these tools are invaluable. If you’re looking to develop a new app this year, there are a number of great tools you can use to make things much easier. 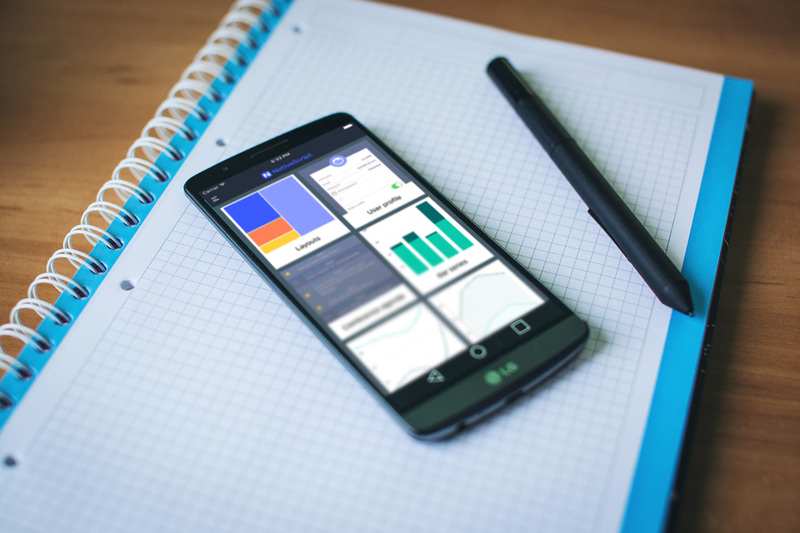 In this article, we’ll tell you about some of the best cross-platform mobile development platforms you can use to build your own apps. Powered by Microsoft, Xamarin is one of the most popular cross-platform development tools among mobile developers. Over 15,000 companies, including 3M, Bosch, Pinterest, and Slack use the platform for their app development and testing. With its C# codebase, Xamarin allows you to develop iOS, Android, and even Windows apps as well as test apps on the cloud. 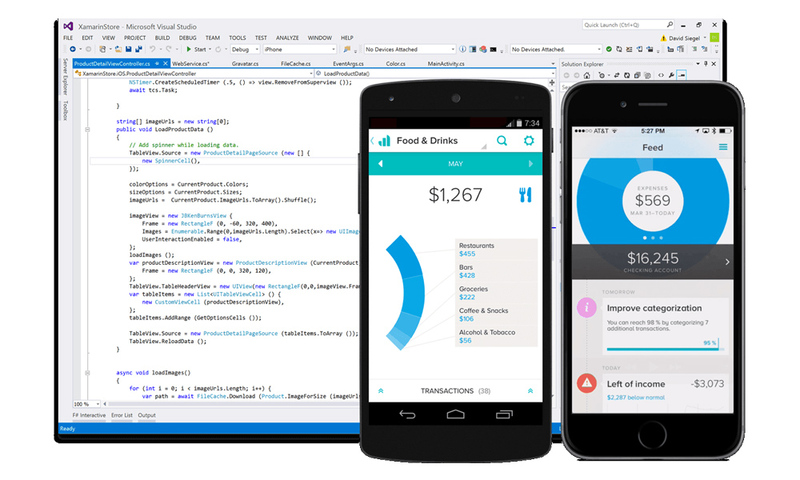 Xamarin is a great tool for developing simple native apps that work across multiple platforms using a shared C# codebase that uses the same IDE, language, and APIs everywhere. In addition to all the great tools for designing and building apps, Xamarin comes with a cloud-based testing platform called Xamarin Test Cloud, which allows you to automate your testing in a way that behaves as a real user would — performing taps, pinches, and swipes. It also includes beta version distribution and live crash reports, as well as collecting and analyzing feedback from real users, and much more. Xamarin has two free plans for students and small teams with usage restrictions for testing and learning from app development. For bigger and more serious app development work, the platform has custom pricing plans, for which you must contact the company to get a quote. You can also test drive the UI features of Nativescript before developing your app by downloading its Examples NativeScript app for Android or iOS. 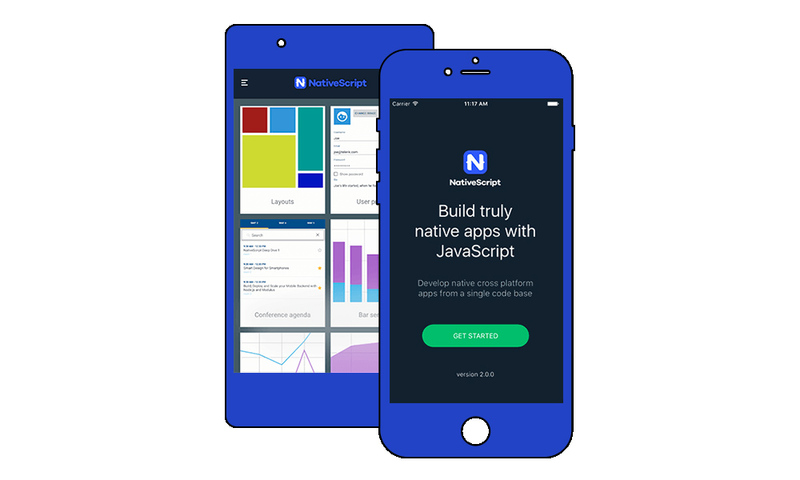 Nativescript is an open-source framework. You can use it however you like for free, as long as you follow its Apache 2.0 license. Corona SDK claims itself as the “ultimate 2D development platform” which stands as a great tool for developing both 2D games and apps. The platform is used by over 300,000+ developers around the world. Many award winning apps have been developed using Corona SDK, including Freeze!, Rise Above, RGB Express, Quebec Tourism, Thomas & Friends, and much more. Corona also claims that the platform allows you to develop apps 10X faster than any other cross-platform development tool. Corona SDK, the cross-platform framework is available free of charge. The platform also supports almost all platforms, including iOS (and tvOS), Android (including Android TV), Kindle, Windows Phone 8, Mac, and Windows desktop. When using Corona, you’ll also be able to easily add more features to your app using its plugin marketplace. And it also provides you with tools for monetizing your apps as well. Corona SDK is a great platform for rapid prototyping and development with real-time testing features (a significant time-saver). Corona SDK is completely free to use. There are premium plans available for small businesses at $79 per developer per month with access to native APIs, and offline builds with a $500k revenue limit. The unlimited plan costs $199 per developer per month. PhoneGap is best for developing simpler business and personal apps. Some of the popular apps that use PhoneGap are Localeur, Snowbuddy, TripCase, and Sworkit. This also makes PhoneGap a great platform for building rapid prototypes and developing apps faster. And it comes with a set of mobile apps for testing your app on mobile devices. PhoneGap is yet another open-source project released under Apache version 2.0 license. You are free to use the framework however you like. If you’ve heard of popular mobile games such as Lara Croft Go, Deux Ex Go, Alto’s Adventure, or Shadow Fight 3, then you’re no stranger to Unity. This powerful game development platform is the force behind many 2D and 3D games on PC, consoles, mobile, and even VR platforms. Unity is a massively popular platform backed by giants such as Facebook, Nintendo, Microsoft, Sony, Google, Intel, and more. Unity-made games have been downloaded on nearly 2 billion unique mobile devices for Q1 2016 alone. 34% of top 1,000 free mobile games are made with Unity. 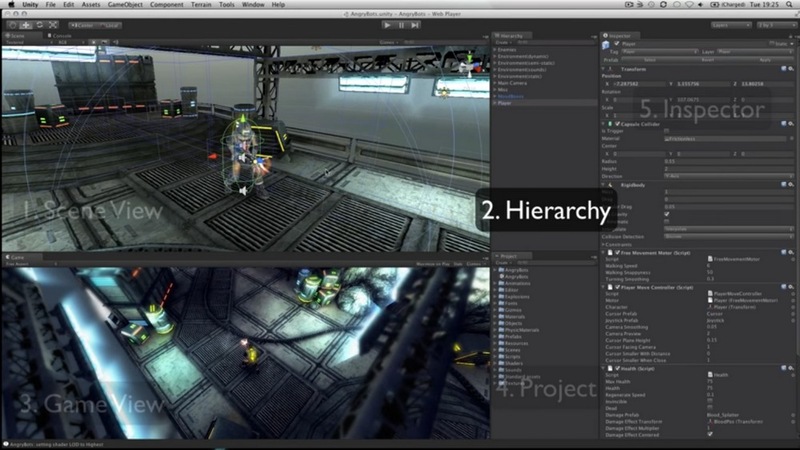 For developing gaming apps, especially 3D games, Unity has got it all. You can build games faster with Unity Cloud Build, collaborate with other developers seamlessly, monetize your apps with Unity Ads, get player insights with Unity Analytics, implement multiplayer modes into games, get performance reports, and do much more. For building more complex and high-quality games, there’s no better platform than Unity. Unity uses a subscription model for giving access to the platform. You can use it for personal projects for free. For serious creators, it’s $35 per month. For professionals, it’s $125 per month. Enterprises will have to get in touch with Unity to get a quote. It depends. As you can see, each tool comes with its own set of features and functions. So, the choice will really depend on the type of app or game you plan on developing. While developing natively for each individual platform is ideal in certain scenarios, these cross-platform tools can be notable time-savers (and provide a simpler route into your first app development, if that’s what you’re looking for).